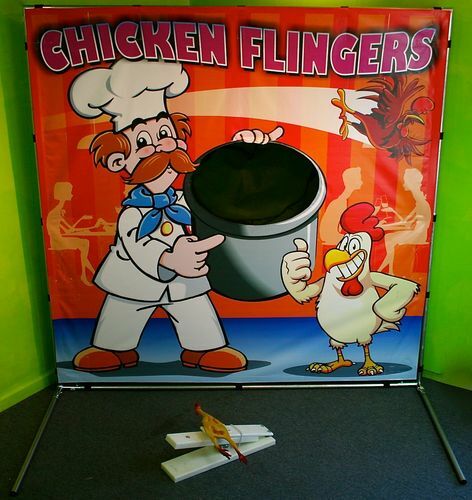 Chicken Flinger is a carnival game that is loads of fun for all ages. 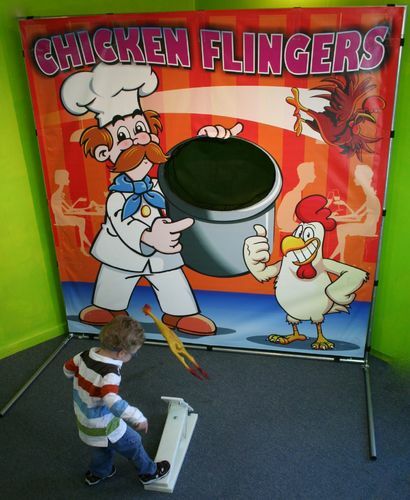 Kids love catapulting the rubber chickens into chef's pot. This game can be set up in less than 5 minutes and can be used indoors or outdoors.